This year, Concrete’s biggest bash includes an event that guarantees fun—and mud. Lots of mud. A “Mud & Stuff” fun run is planned for ages 10 and older on Sun., Aug. 17. Sign-in starts at 9 a.m. in Silo Park, where the run will begin at 10 a.m.
Look for a series of obstacles along the way, with several of them guaranteed to get you muddy. Organizers promise more fun than danger, although the course will certainly test one’s physical fitness. Applications and more information are available at www.cascadedays.com or call 360.853.7867. Good works are one of the best hallmarks for choosing to honor certain individuals. 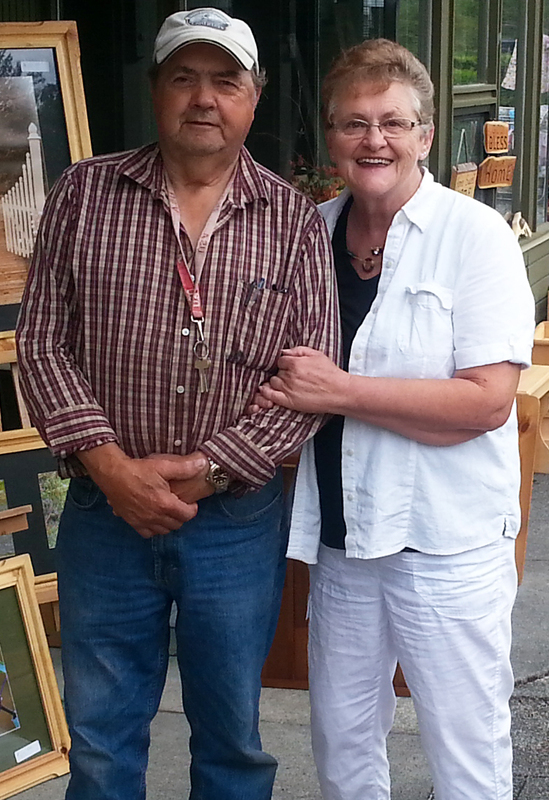 This year’s honorees as Grand Marshals during the 2014 Cascade Days Parade go to Marty and Adrienne Smith of Concrete. The couple will celebrate their 50th wedding anniversary this September and are primarily known for running the Concrete Food Bank for the last 20 years. The Concrete Food Bank Association is a nonprofit charitable organization providing money, goods, or services to the poor in need, especially food items. A substantial part of its support comes from the general public and the government. Both Marty and Adrienne have been lifelong residents of Skagit County, the majority of which has been in the Upper Skagit. Adrienne was born in the family home in Concrete and graduated from Concrete High School with the class of 1962. Marty retired from mill work about 25 years ago and creates wood items that he sells at the Concrete Saturday Market. Adrienne has been a professional photographer for 30 years, and shares market space with Marty. The couple are very humble about being asked to be this year’s Grand Marshals. A full schedule for the two-day event is posted at www.cascadedays.com.